People participate in a giant snowball fight in Dupont Circle in Washington, D.C., on Jan. 24, 2016. 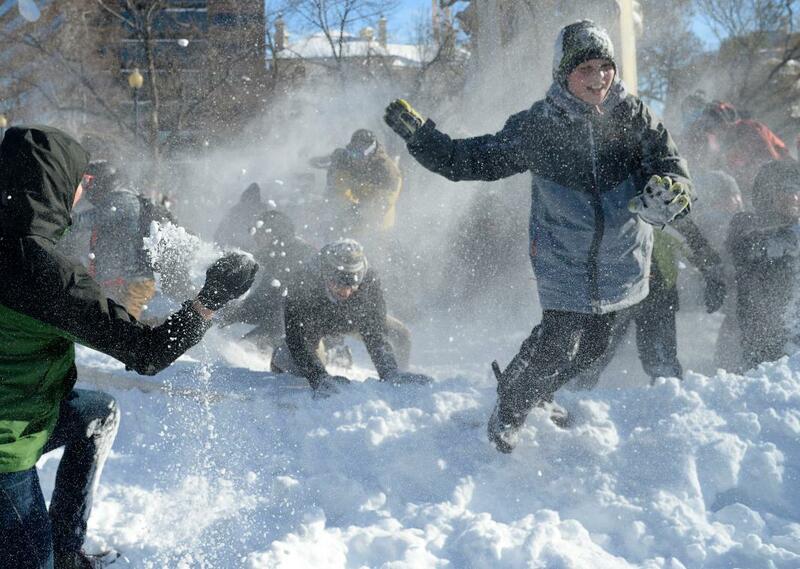 Snowball fights have become a tradition after every major snow storm in the nation’s capital. 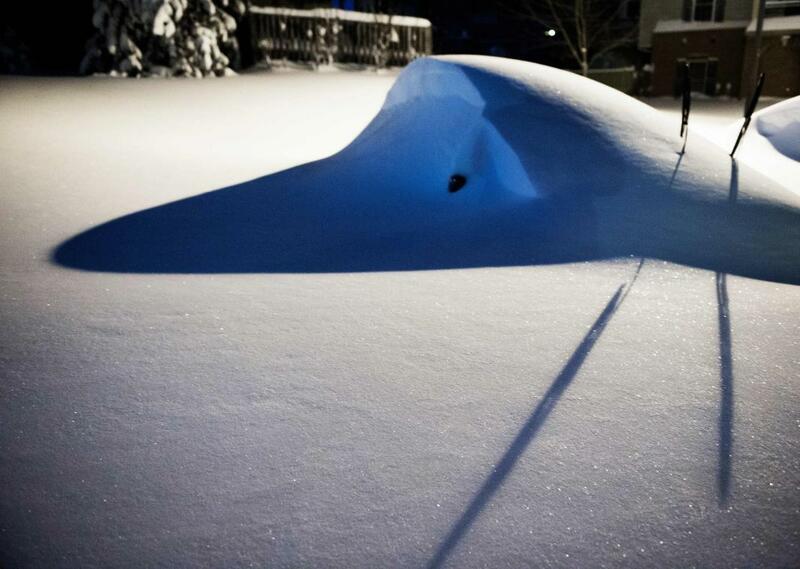 A buried car late at night in Centreville, Virginia on Jan. 24, 2016. 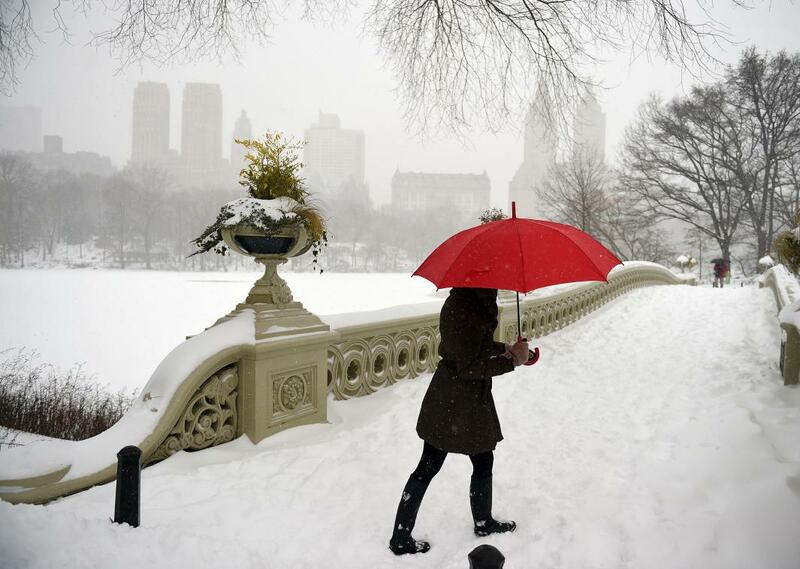 A woman walks in strong winds and heavy snow fall in Central Park on Saturday, Jan. 23, in New York City. 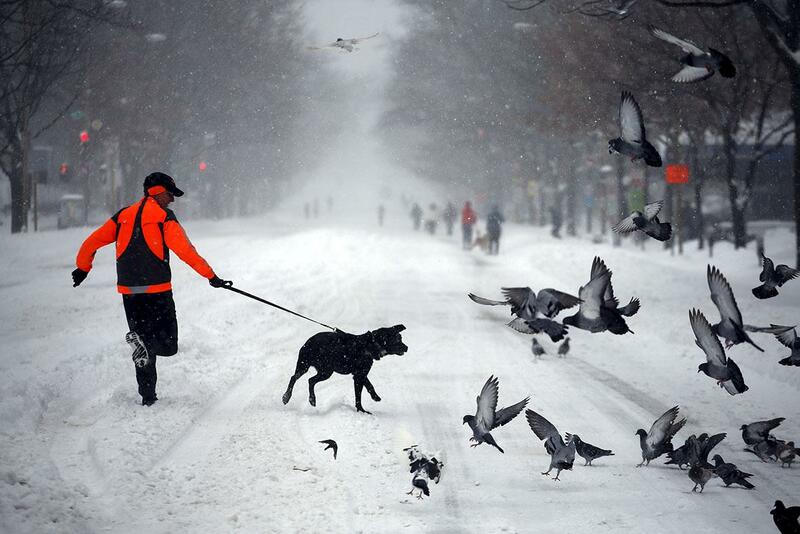 A man runs with his dog along a street covered by snow during a winter storm in Washington Jan. 23, 2016. 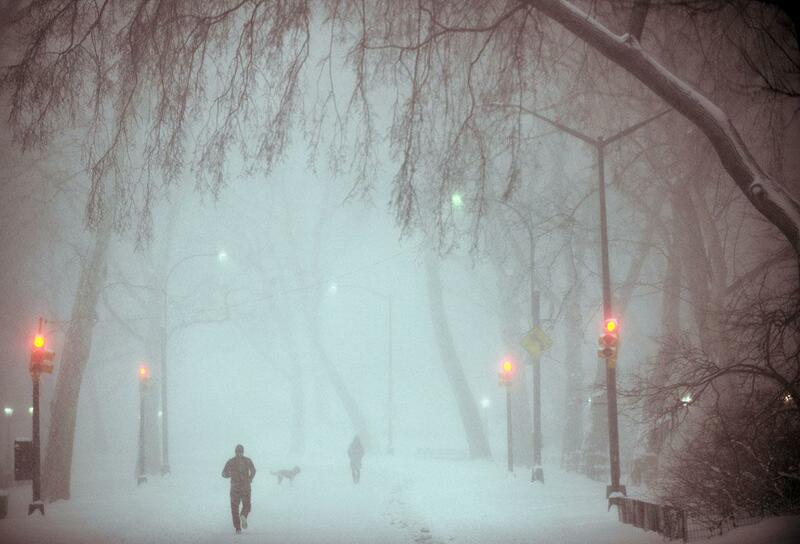 Dog owners and runners go through heavy snow fall and strong wind gusts in Central Park, Jan. 23, 2016 in New York City. 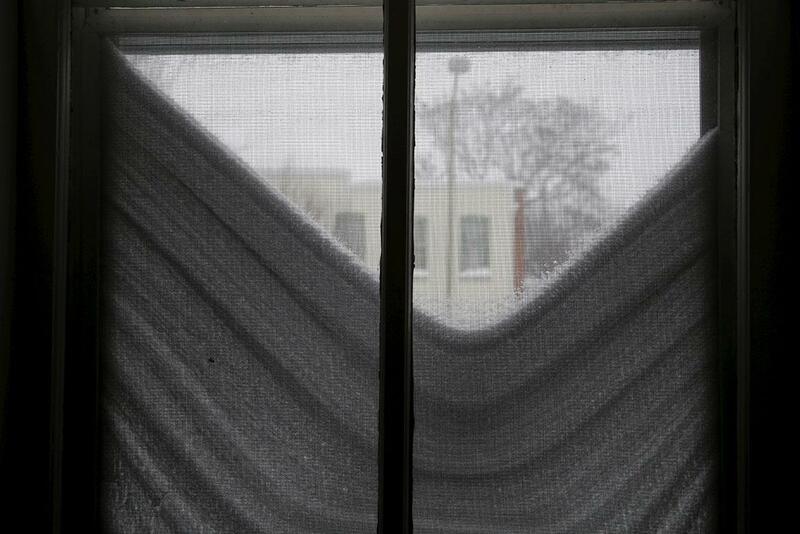 Blown snow fills the gaps in a storm window of a home in the Capitol Hill neighborhood in Washington Jan. 23, 2016. 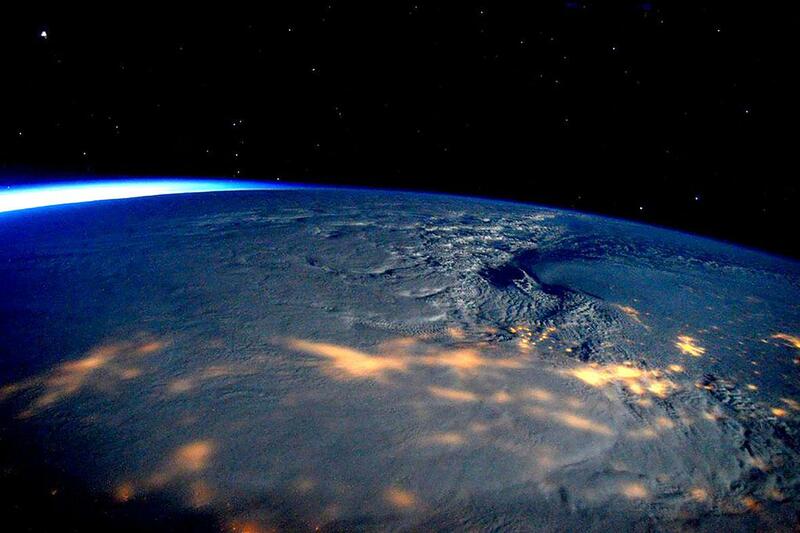 A winter storm affecting the U.S. East Coast is seen in a NASA picture taken from the International Space Station Jan. 23, 2016. 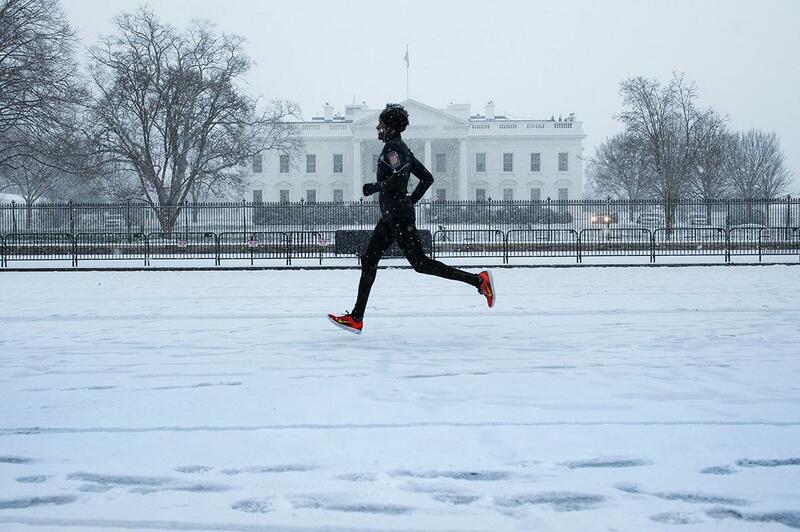 A runner passes the White House on Pennsylvania Avenue during a snow storm in Washington Jan. 22, 2016. 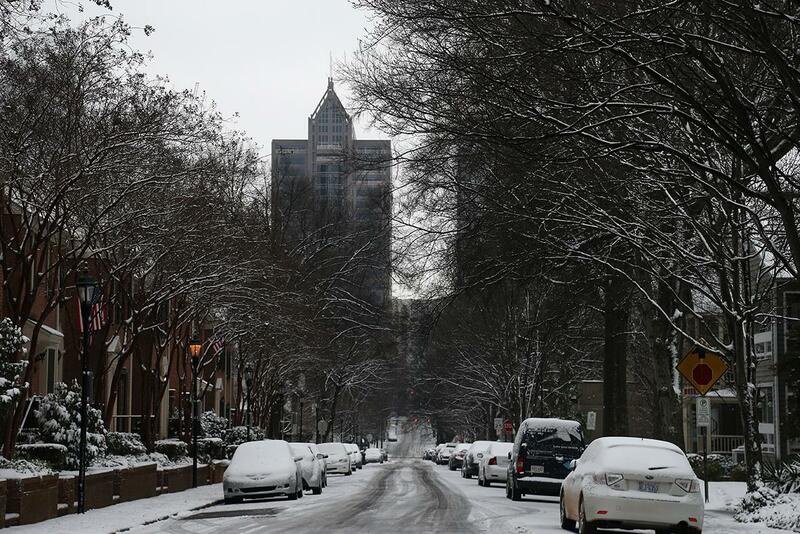 A view of empty streets due to the snow near Uptown Charlotte on Jan. 22, 2016 in Charlotte, North Carolina. 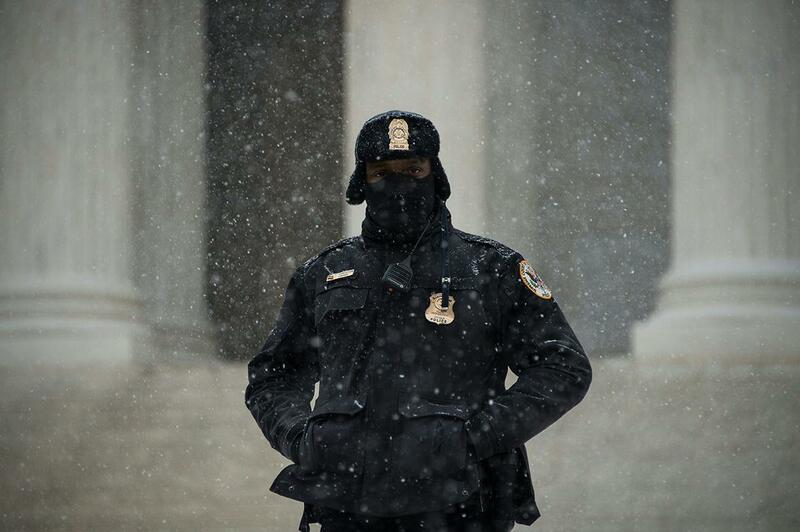 A policeman stands guard in the snow in front of the US Supreme Court in Washington, DC, on Jan. 22, 2016. 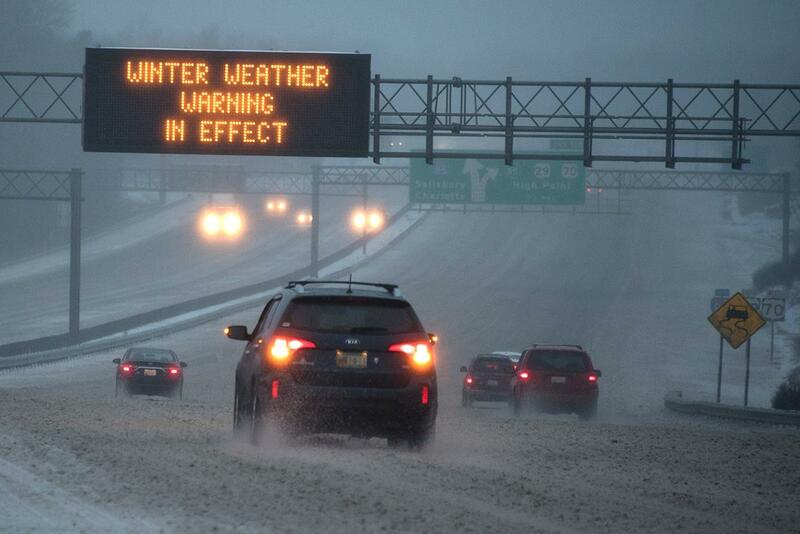 Vehicles move along Interstate 85 as an overhead sign indicates ‘WINTER WEATHER WARNING IN EFFECT’ during a winter storm, Jan. 22, 2016 in Greensboro, North Carolina. 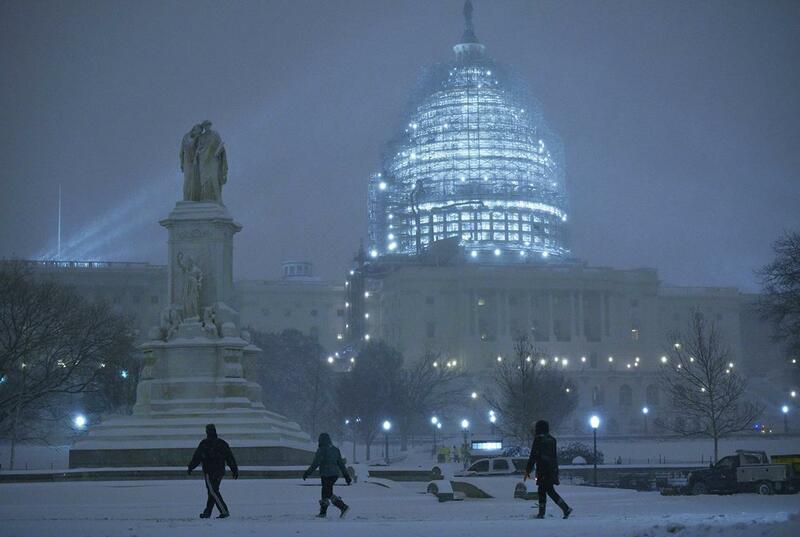 Pedestrians are seen in front of the US Capitol in Washington, DC, as snow continues to fall, Jan. 22, 2016. 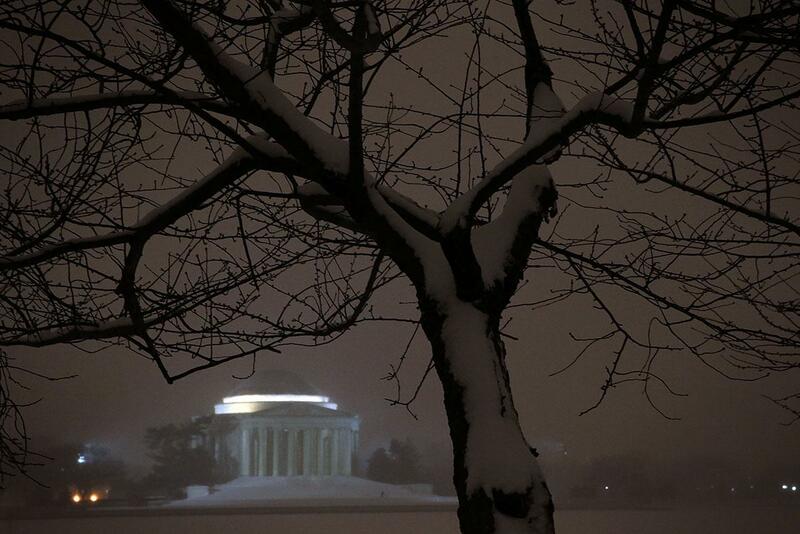 The Thomas Jefferson Memorial blanketed by snow, Jan. 22, 2016 in Washington, DC. 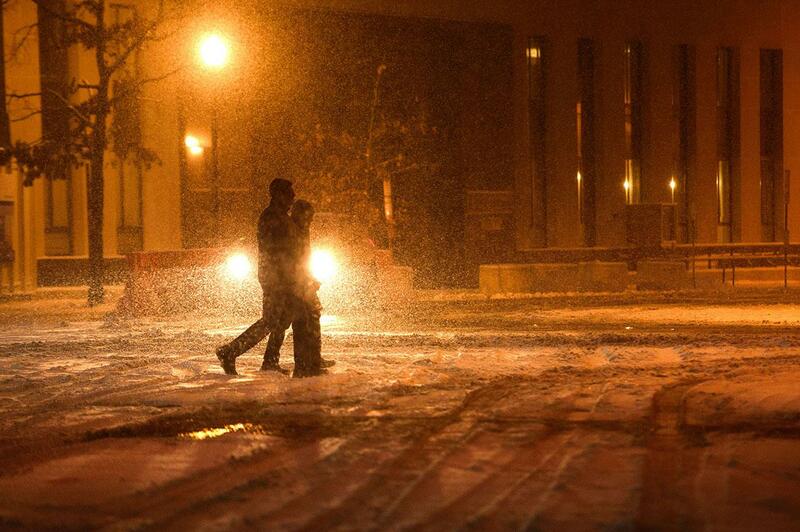 Pedestrians cross 15th Street during a snowstorm in Washington Jan. 22, 2016. 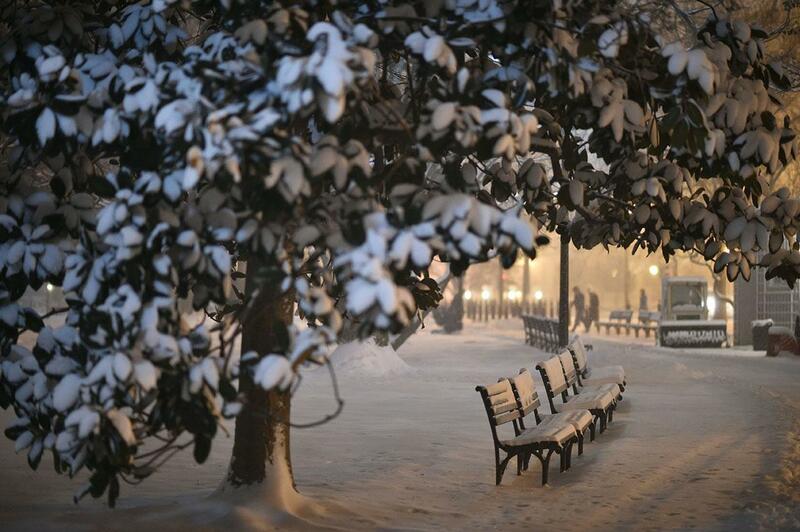 Snow covers a pathway of Lafayette Square outside the White House during a snowstorm in downtown Washington, DC, Jan. 22, 2016. Additional photographs have been added to this post since it was originally published.